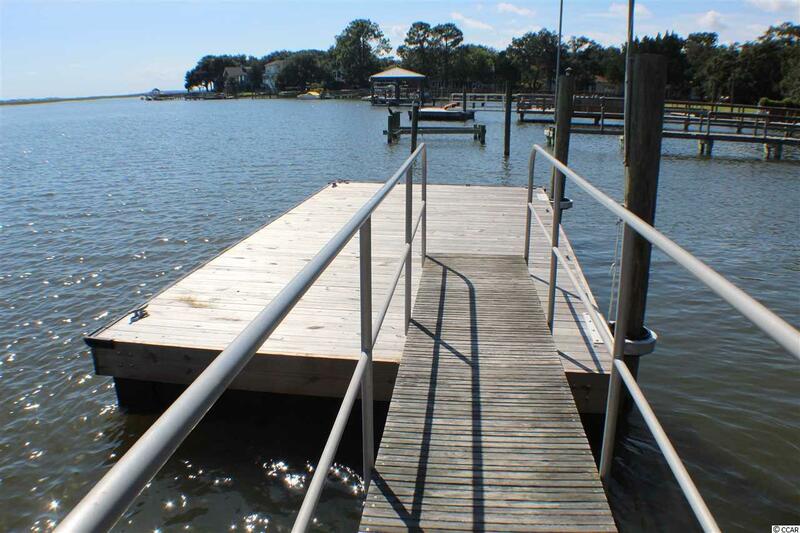 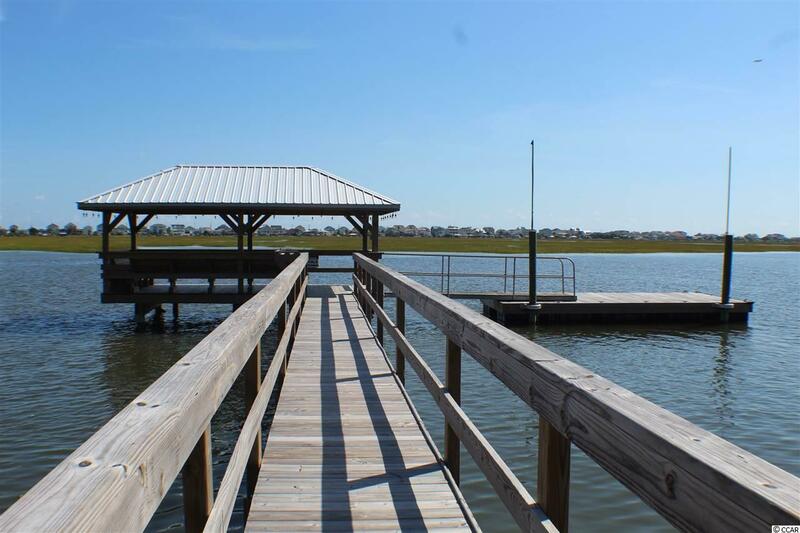 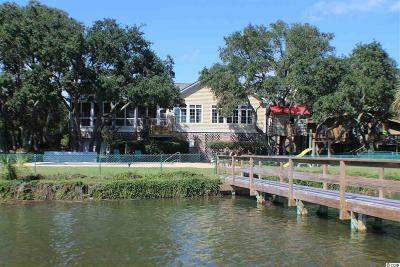 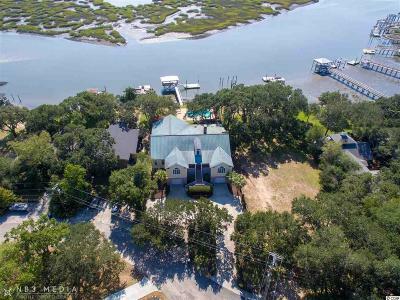 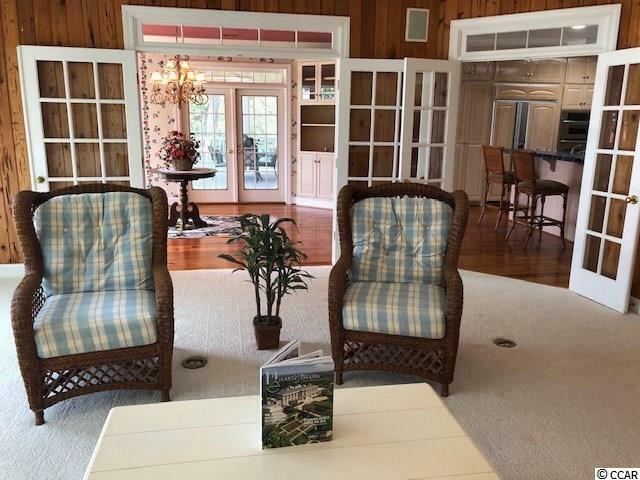 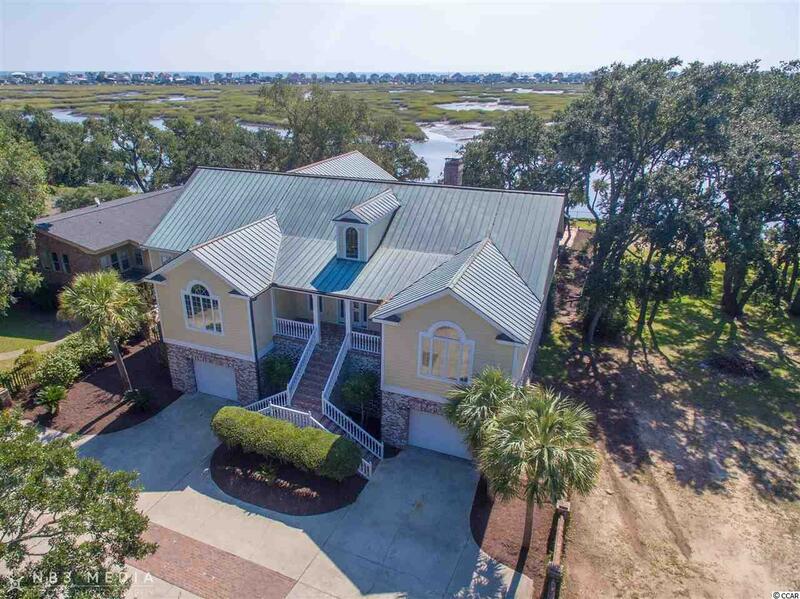 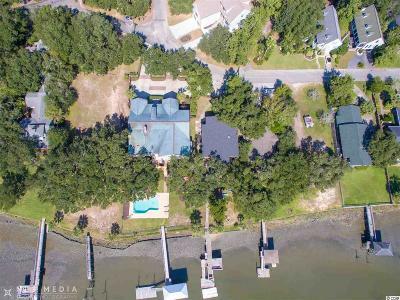 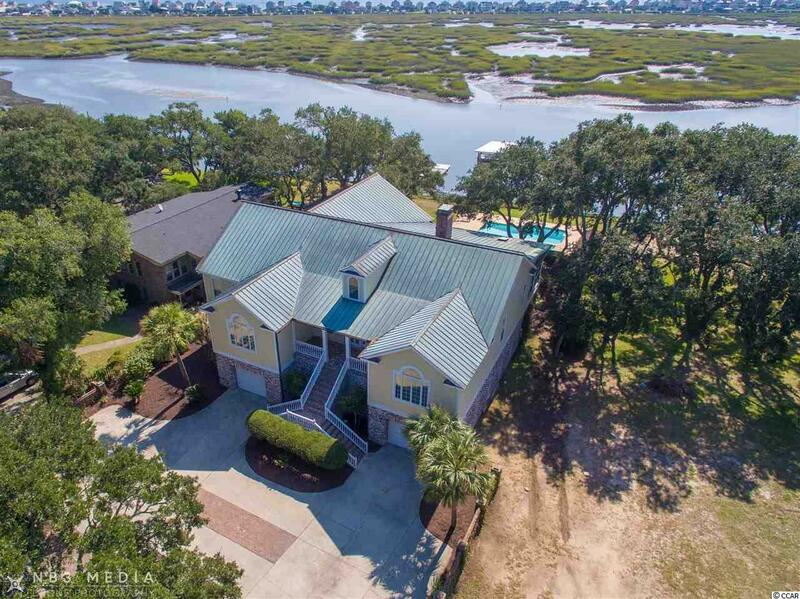 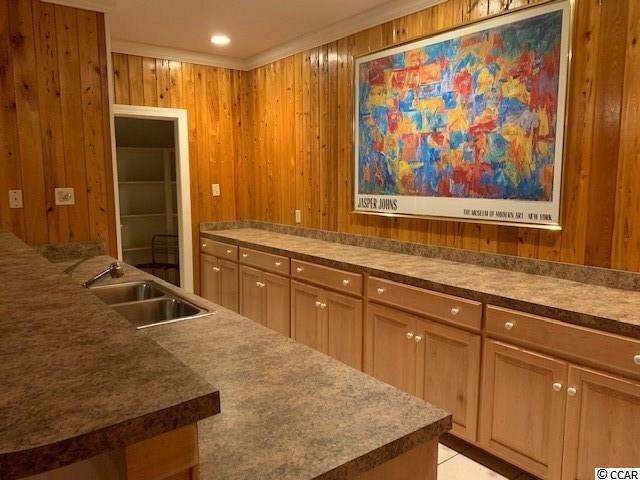 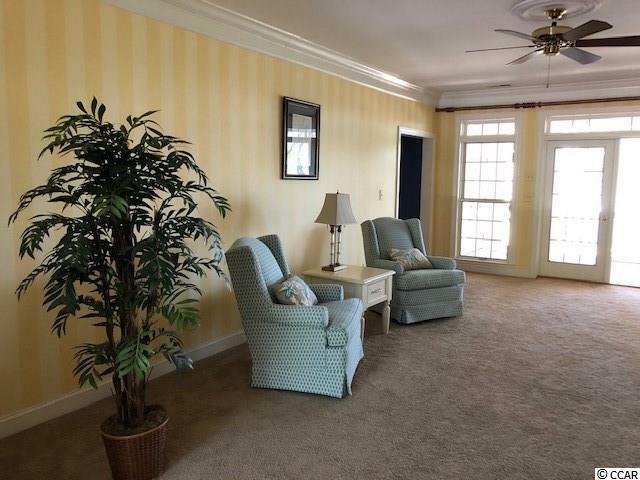 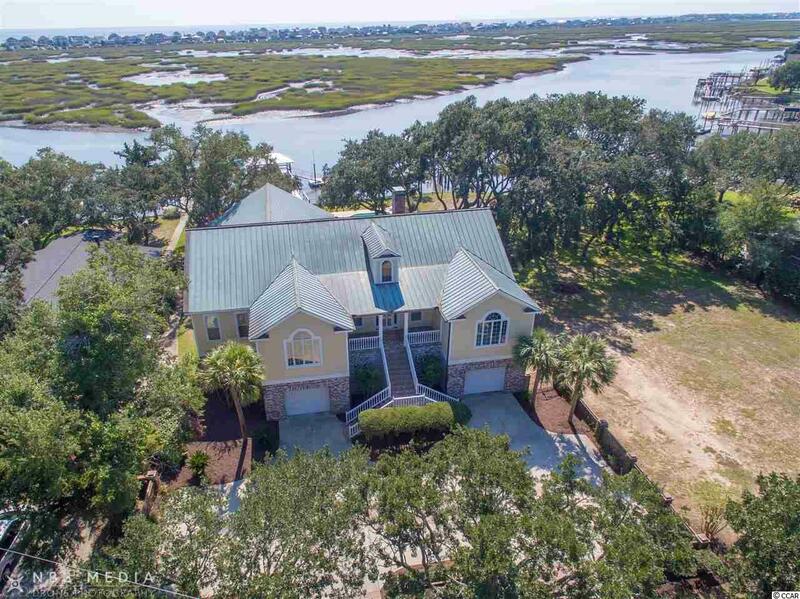 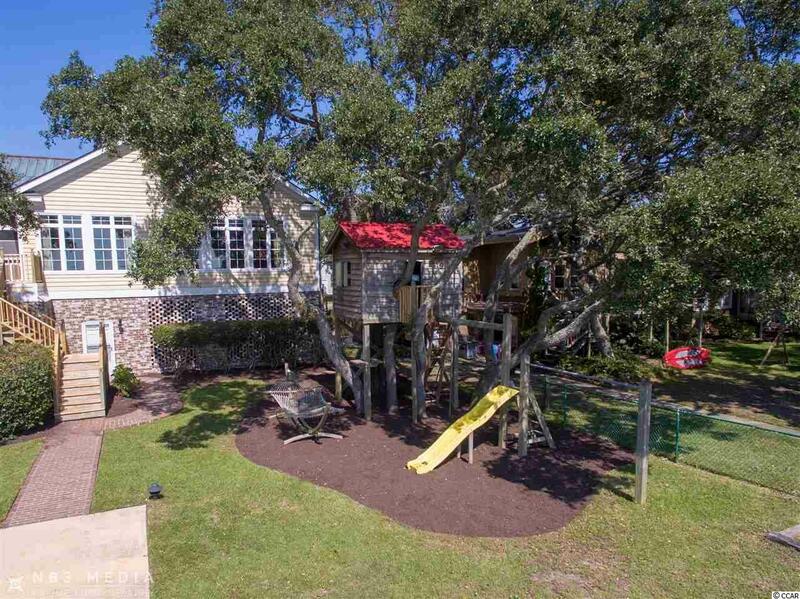 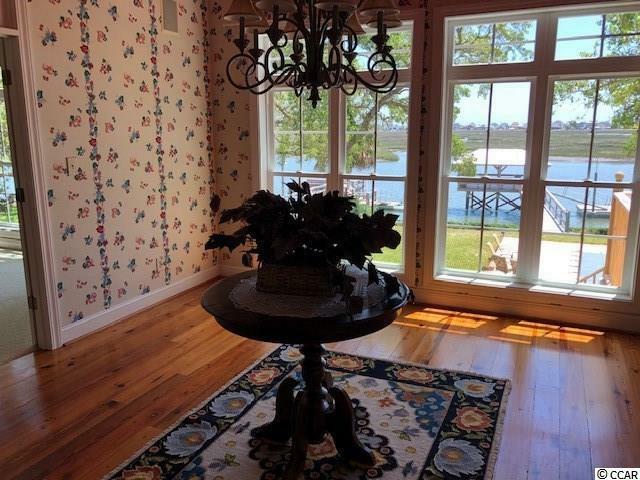 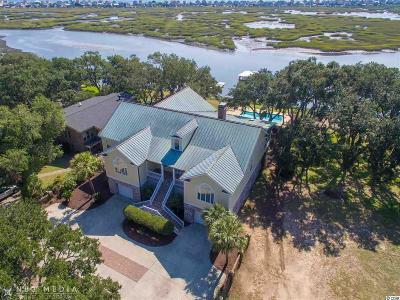 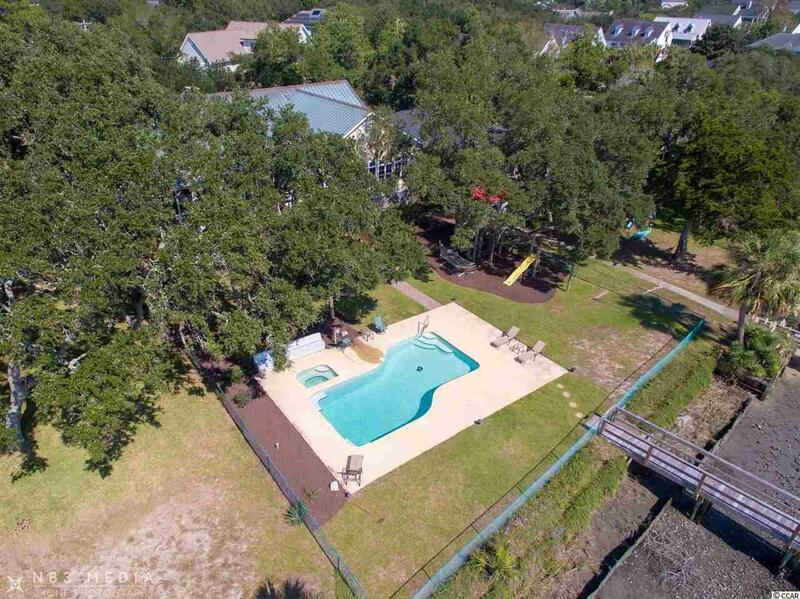 Remarkable location on the deep water front in the heart of Murrells Inlet. 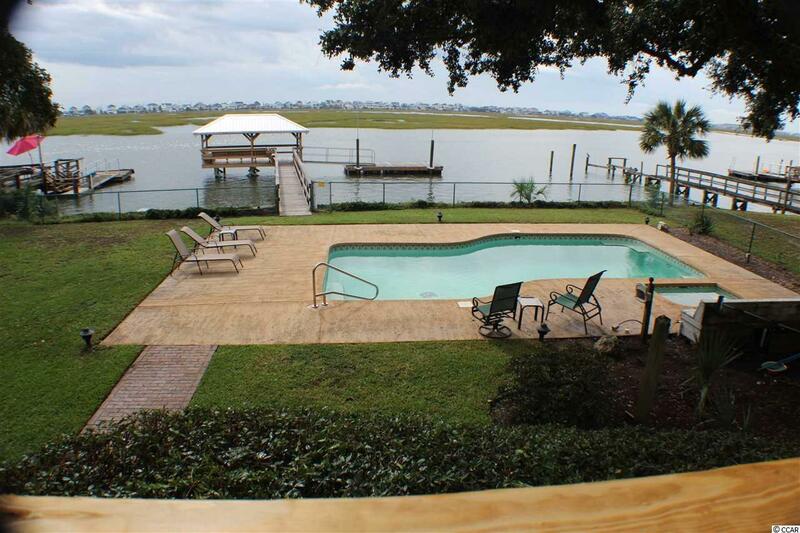 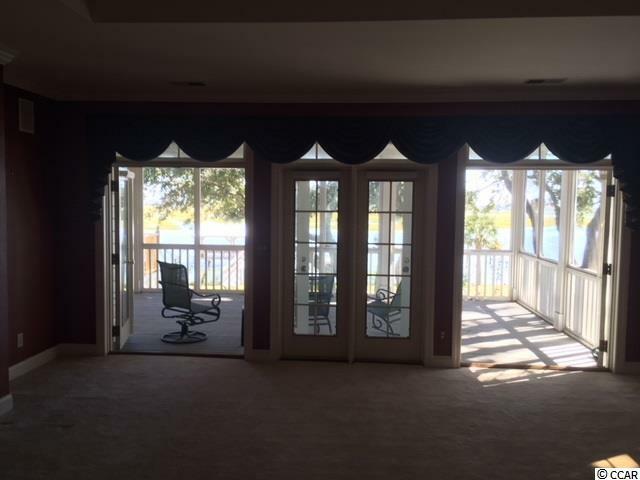 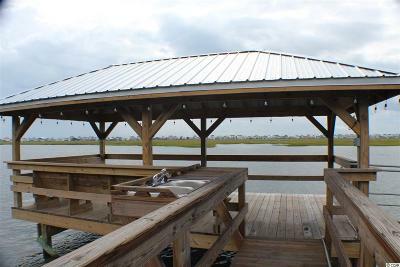 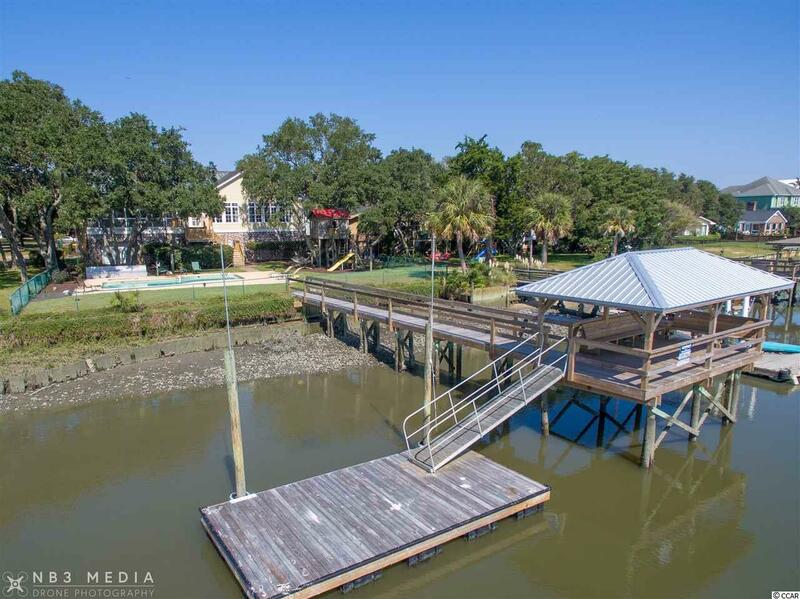 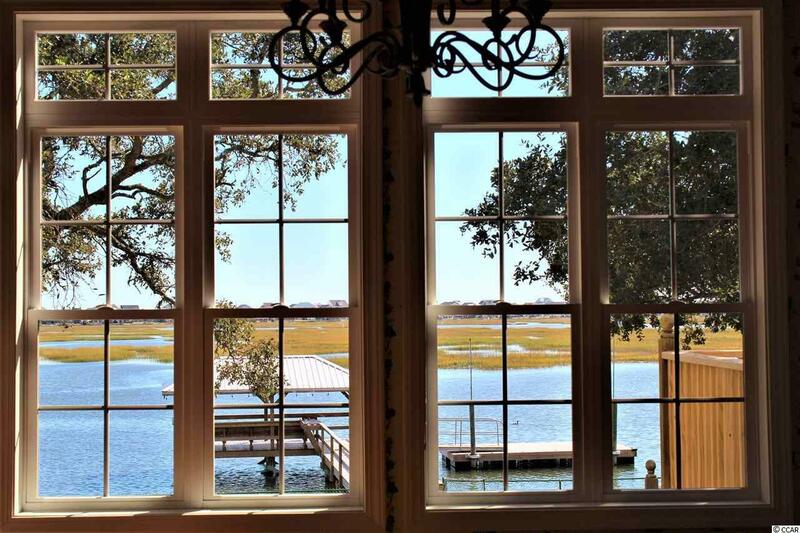 You can view the inlet, pool and the 66ft long dock from the Master bedroom, kitchen and den. 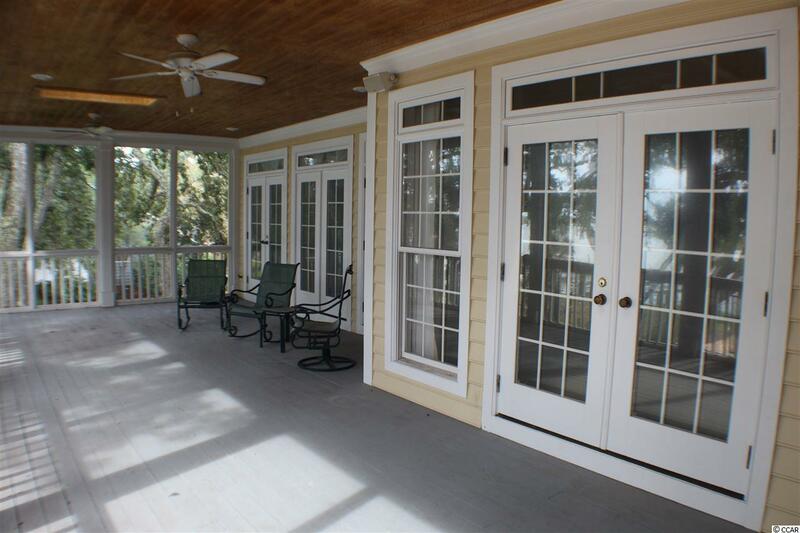 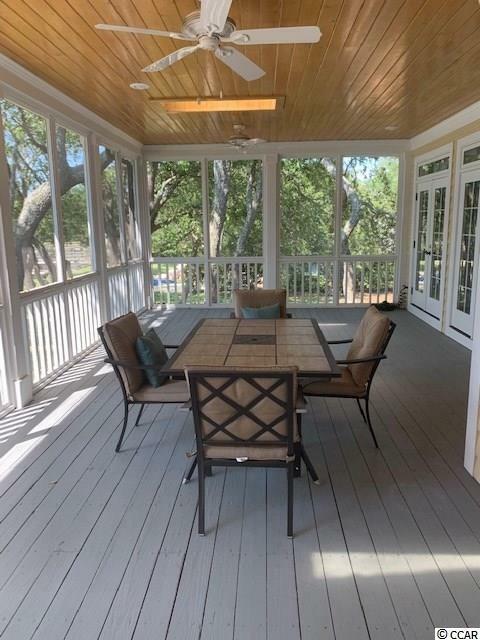 Also, to enjoy is a very large screened porch, a covered porch and a grilling deck. 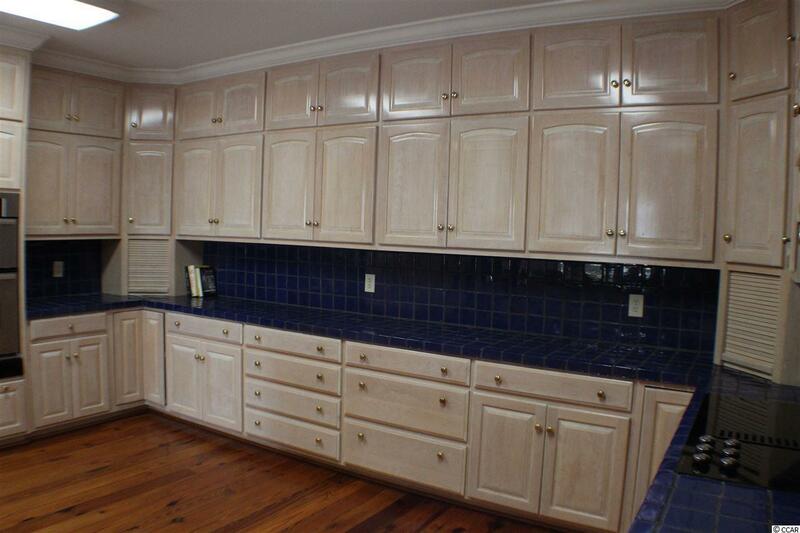 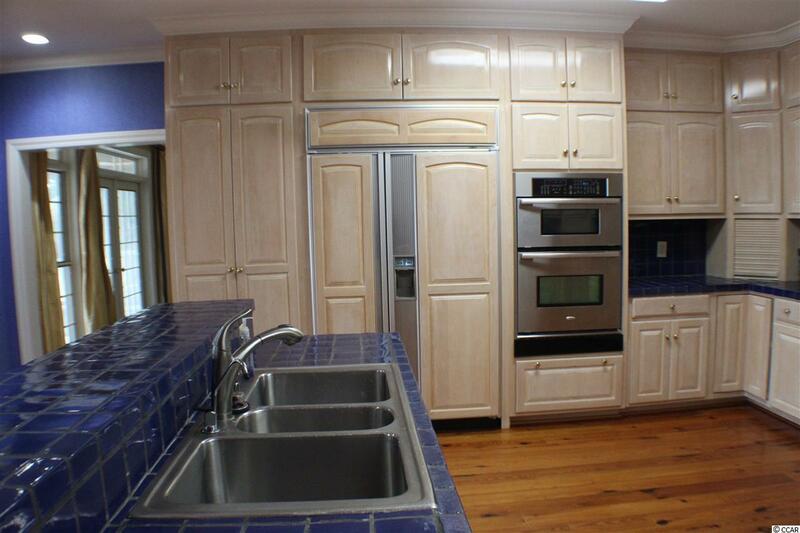 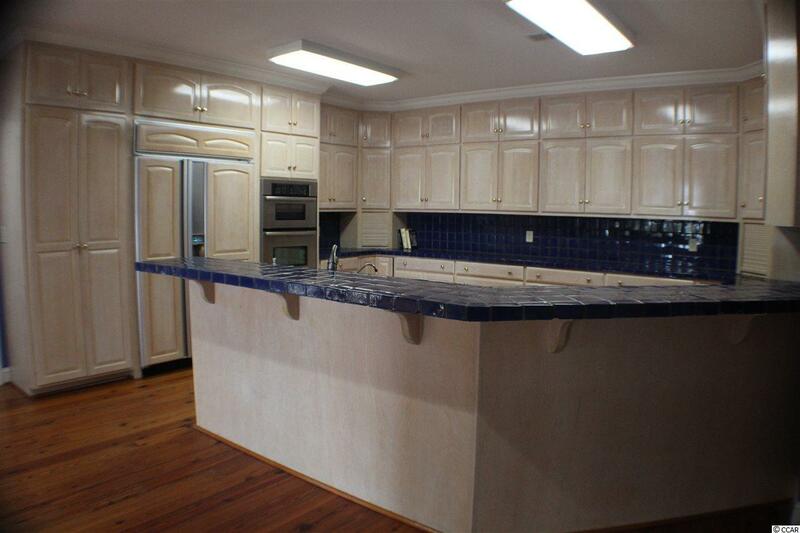 The kitchen cabinets are custom made. 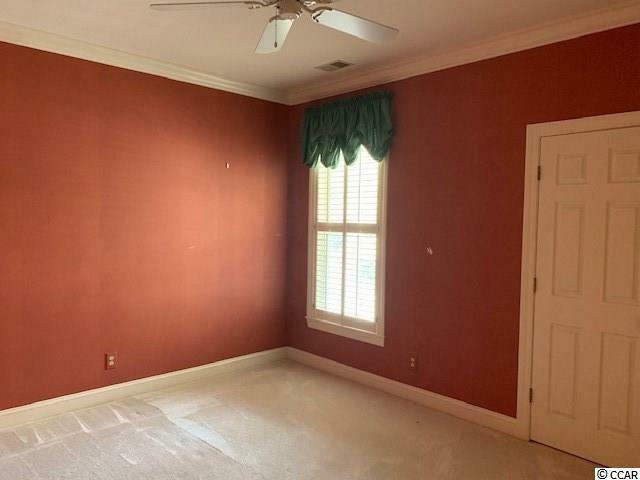 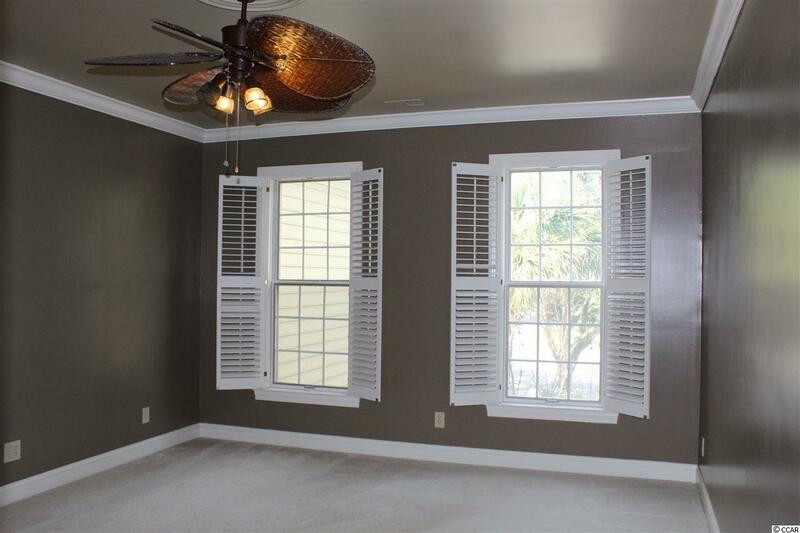 There is a fireplace in the master bedroom and the living room. 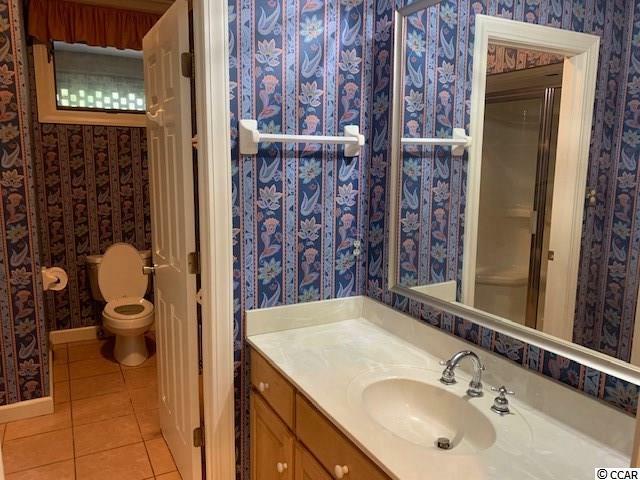 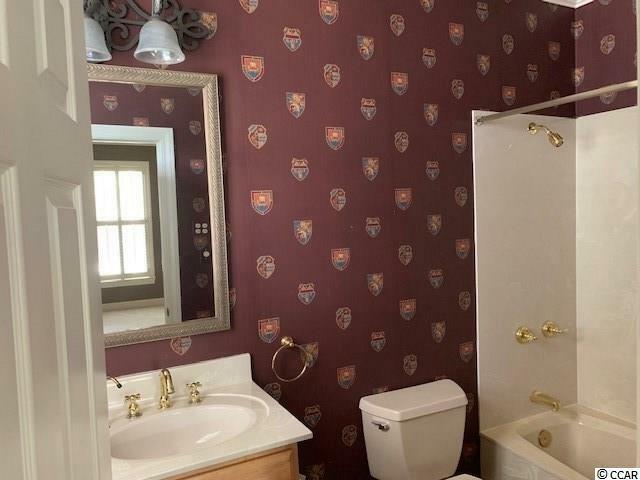 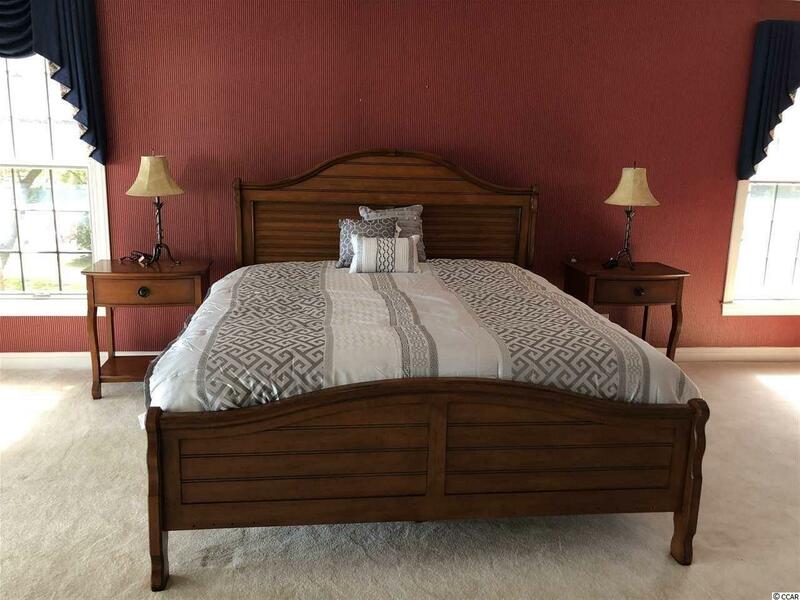 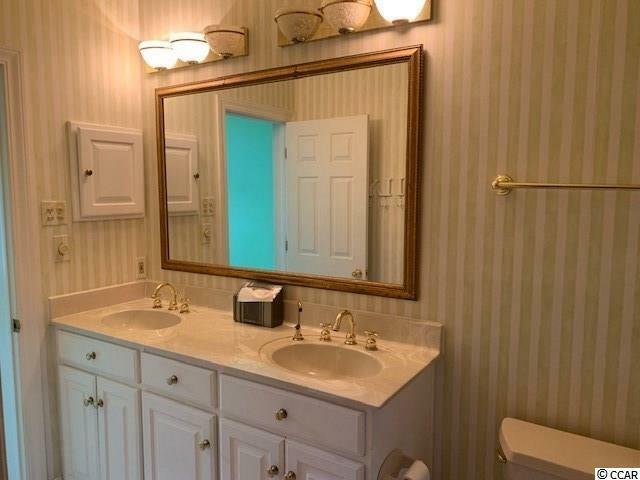 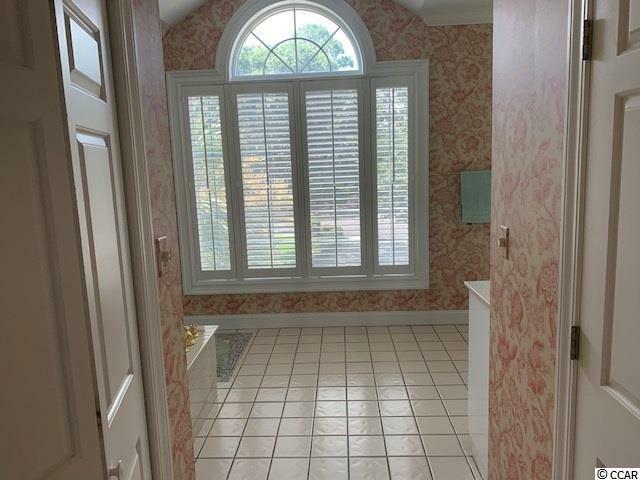 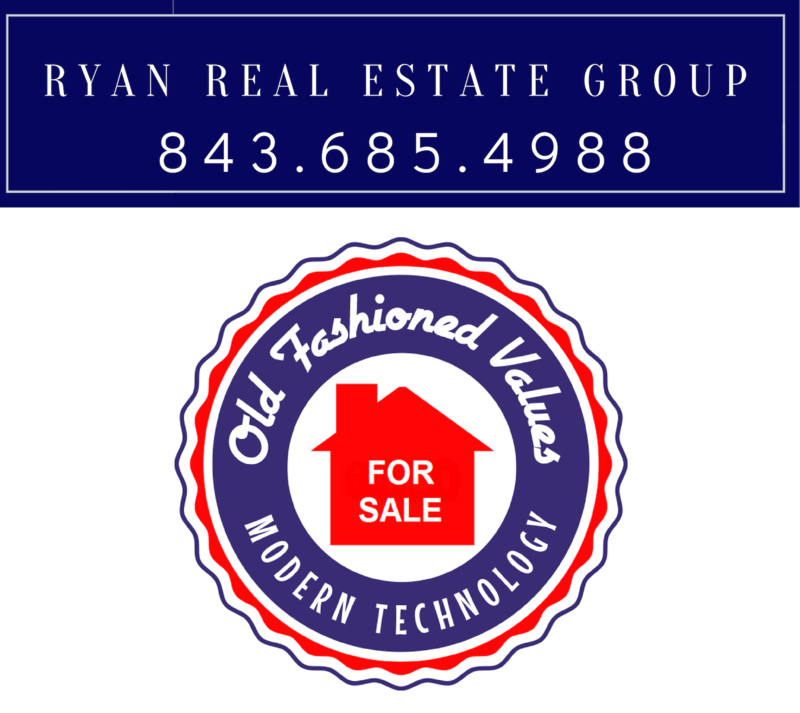 There are 4 bedrooms on the main level with 3 baths and a powder room. 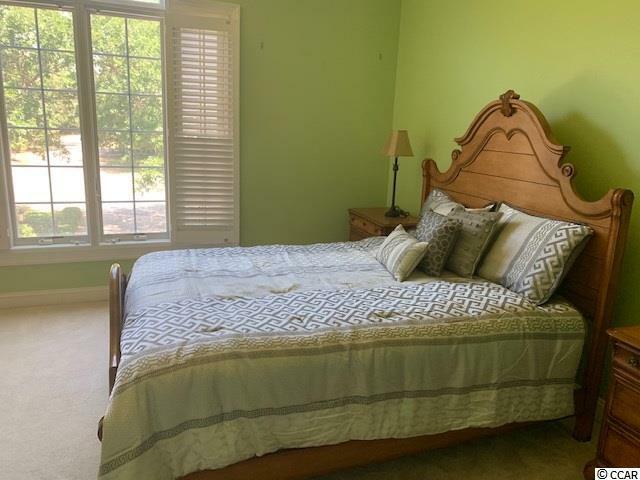 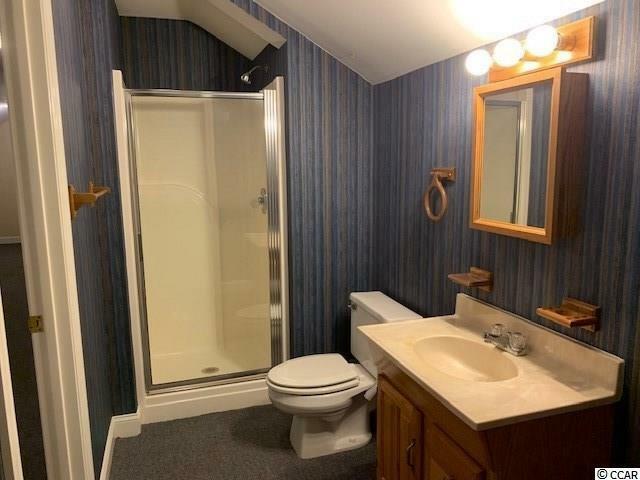 Upstairs, you'll find a very large bonus room with bath and on the ground level a great recreation room with wet bar and bath. 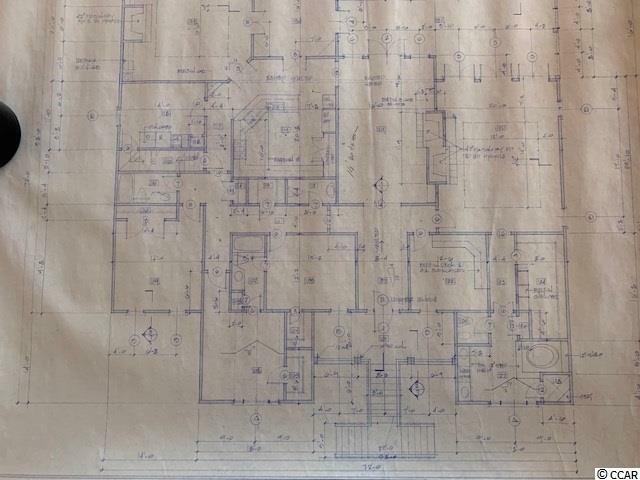 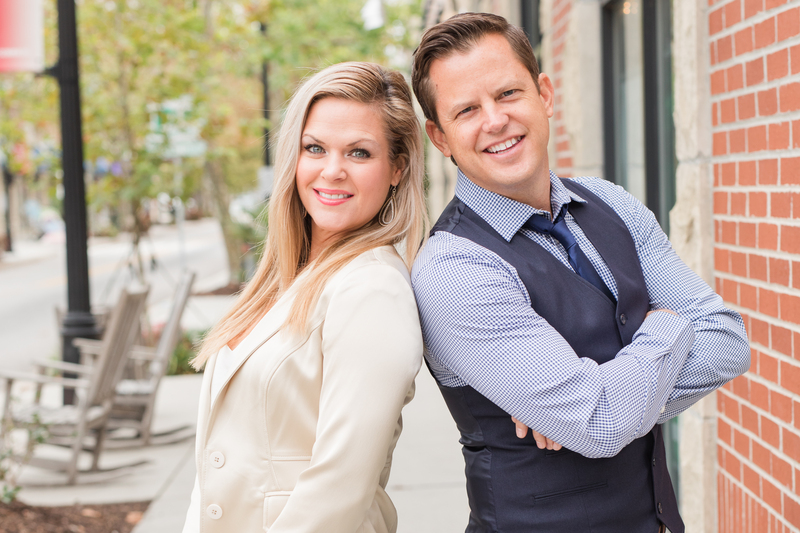 There is an elevation certificate. 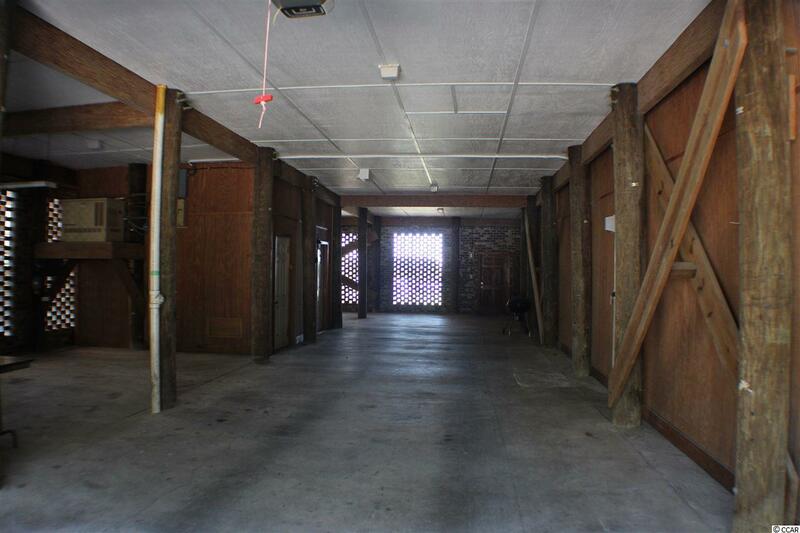 Interior height of the huge garage is 14 ft. 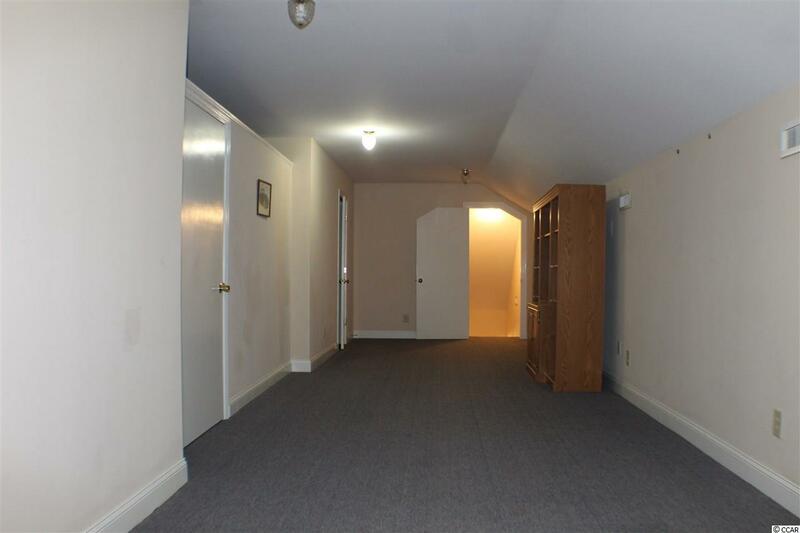 The elevator has been on a yearly service contract. A 35ft boat could easily tie up on the floating dock. 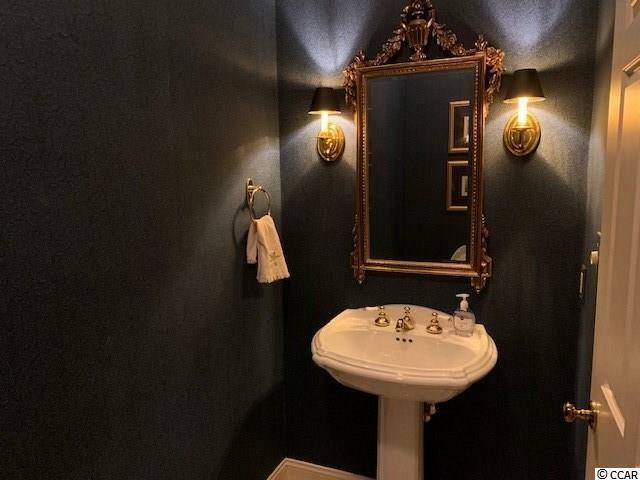 Directions: Turn Into Mt. 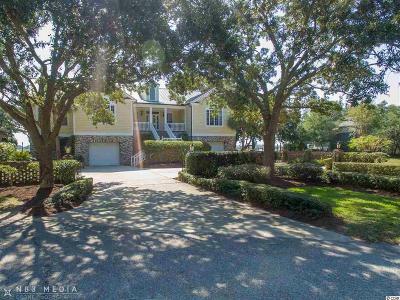 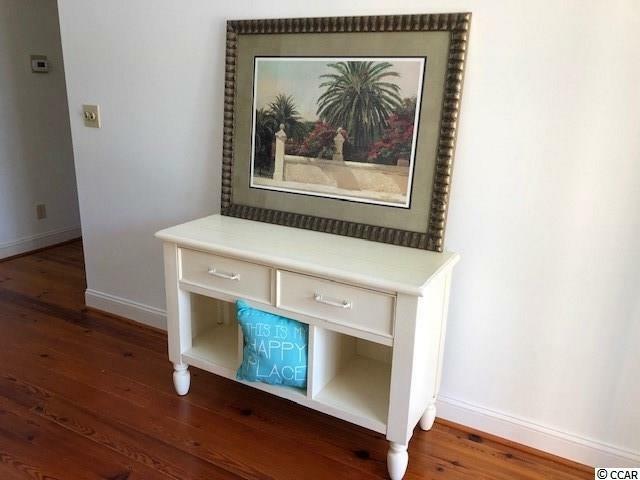 Gilead From Bus 17 In Murrells Inlet And Continue Straight To The House At 596 S. Creekside Dr.